One of the lesser known islands, but a great place to cycle and walk. The wildlife is very different to the normal Highland wildlife and it is a very ‘green’ island. You also get excellent views of the ‘ugly’ Glensanda Quarry which is only accessible by boat. 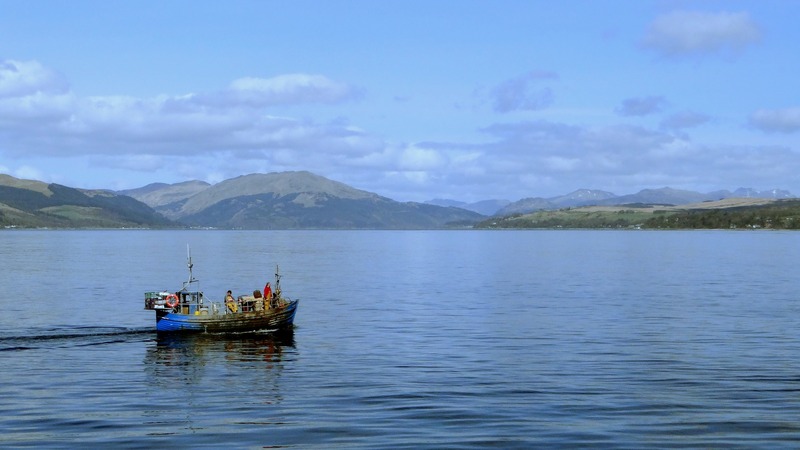 You can combine a trip to Lismore with lunch at the Pier House Restaurant in Port Appin. Head towards Oban and turn left to Port Appin just past Kinlochaich House and Gardens in Portnacroish. There is a passenger ferry that runs from here. An island with vastly different scenery in the North and South but a fantastic place to spend the day. 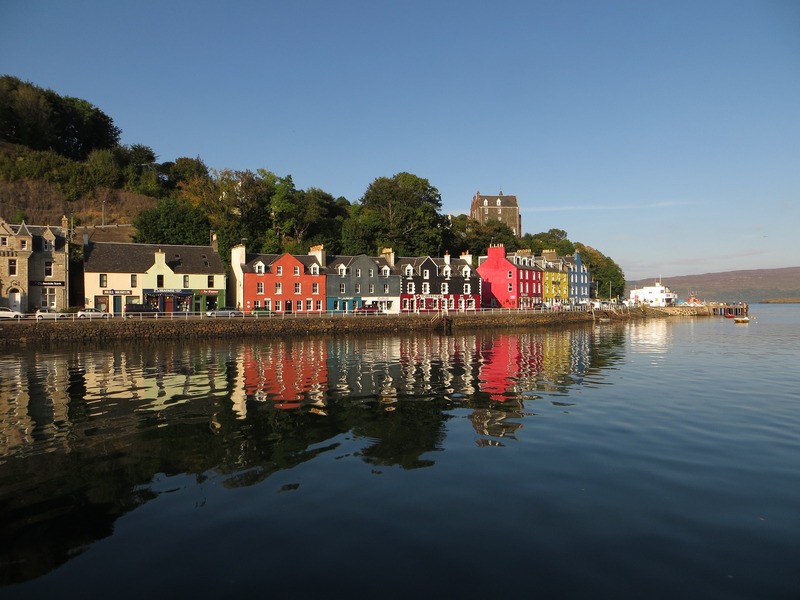 The Northern loop takes in Tobermory and Dervaig with the option of visiting the island of Ulva. The southern loop takes in the spectacular scenery around Loch na Keal and the mountains around Ben More. Take the ferry from Lochaline to Fishnish and turn right or left depending on which loop you want to do. The Small Isles comprise Rum, Eigg, Muck and Canna. Muck has an island community of 28, Canna has 14, Rum is always at war with itself and Eigg was bought out by the community a few years ago. Each has its own characteristics – Rum has Kinloch Castle, Eigg has the Sgurr (Basalt rock peak), Muck has its own windmill to generate electricity and Canna has a bridge across to its neighbouring island of Sanday. Take your pick – they are all worth visiting. 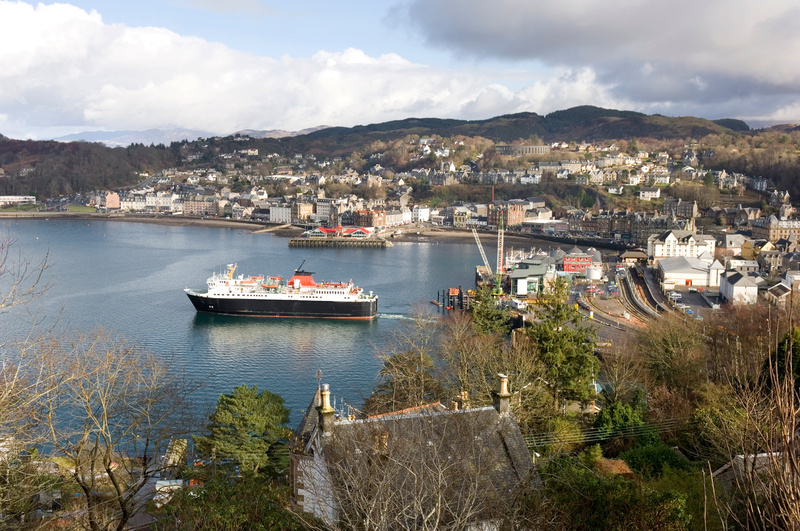 Boat trips run from Arisaig to all but Canna, and a Caledonian MacBrayne service runs from Mallaig. It is also fun to get to as it involves 3 ferry trips. It is however feasible to do in a day. The 3 ferries are the Corran Ferry, the Lochaline to Fishnish Ferry, and the Fionnphort to Iona Ferry. This is a trip that can be bolted on to a trip to Iona or done instead of Iona. It is famous for Fingal’s Cave which inspired Mendelssohn, and for its Puffins in the Summer. Fingal’s Cave is an inspiring experience. Boats to Staffa leave from both Iona or Fionnphort.